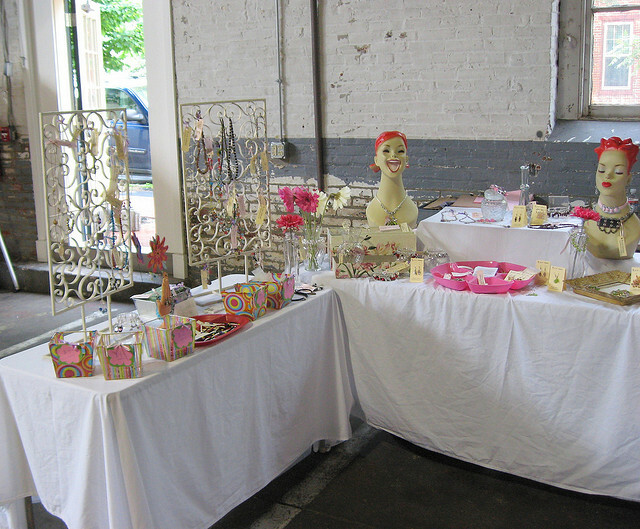 When I first started seriously selling at craft shows, I also started selling at 2 different markets. One was a weekly Art Market. It obviously catered to artists, but also had food and produce as well. The other was a farmer’s market. The farmer’s market was weekly, however once a month they had a Saturday with artists. Overall, I did well at both. The weekly market had it’s ups and downs, but at the end of the season I felt I did great. The other market was typically very good each time. 1. Make sure you go to the farmer’s market and see if your target market is there. 2. Come up with a plan of when or how often you will be setting up to sell and stick with it. If you’re farmer’s market has something like a 2nd Sat artist feature, definitely do that. If not, either go all in – set up every week – or pick a certain Sat each month to set up (like the 2nd Sat of each month.) Then let your customers know that’s what you are doing and do exactly what you say you will. 3. Check with the market to make sure you can actually do what I suggest in #2. They may not actually want you to just pick and choose which weeks and they may ask you to commit to the entire season. 4. Don’t get discouraged if one week is bad. There will always be back weeks. Hopefully the good weeks make up for it. Make sure you stick it out so that people get used to you being there and start purchasing. Selling at a farmer’s market is not always easy. Your first week or 2 will probably not be great. However, as people get used to you being there and what you have to offer, they will start to make purchases. 5. Take new stuff in each week, even if it’s just a few new pieces. There will be regulars to the farmer’s market. (People have to eat!) They will want to see new pieces. They may even ask you if you have anything new before they stop to look. Give them something new to look at! 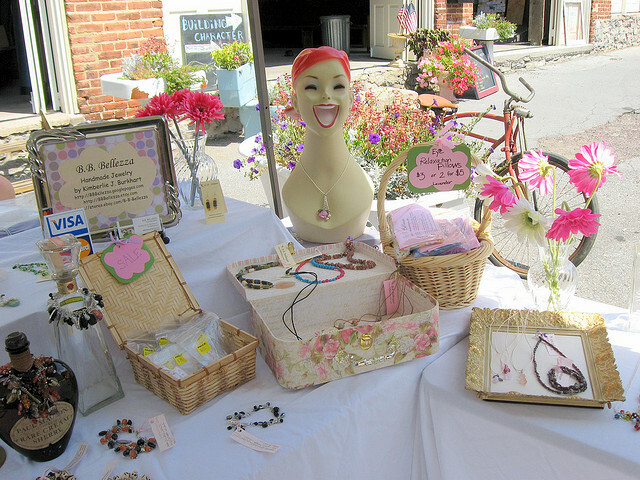 Craft show (and market!!) season is upon us! Are you ready to take the next step and try selling at craft shows? Are you nervous that you don’t know what you’re doing? Then check out my inexpensive eBook. 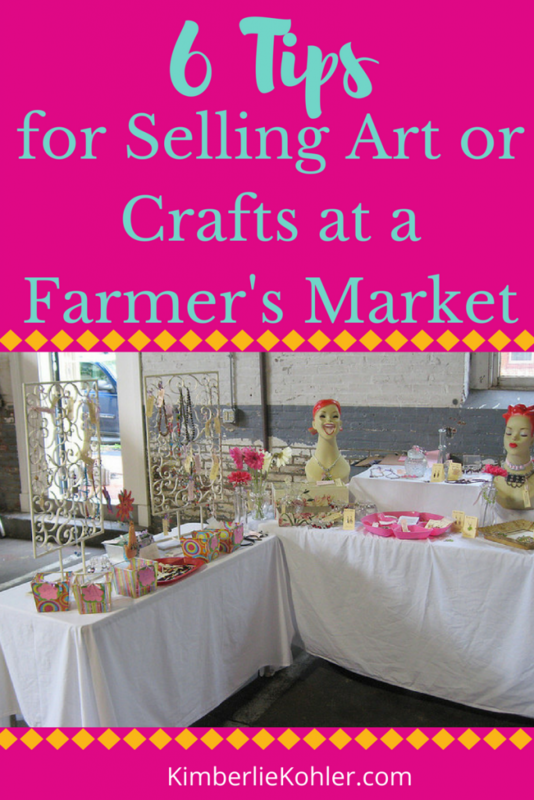 It will help you feel prepared for your craft show! Craft Show Tips eBook! This entry was posted in Business, Craft Show Tips by Kimberlie. Bookmark the permalink.